Member: Conecuh County Bar Association; Alabama State Bar (Member: Grievance Committee, 1977-1978; Character & Fitness Committee, 1981-1982; Alabama Rules of Appellate Procedure Committee, 1984-1986, 1989-1992; Advisory Committee on the Alabama Rules of Evidence, 2009 --; Disciplinary Commission, 1987-1988, 2000-2001; Board of Bar Examiners Advisory Committee, 1989-1991; Chairperson, Supreme Court Liaison Committee, 1993-1996; Vice President, 1993-1994, 1995-1996; Member, 2000-2001; Chairman, 2004-2005, Alabama Board of Disciplinary Appeals; Member, Leadership Forum Standing Committee, 2004-2005; Batson Task Force, 1993-1994; Federal Judiciary Liaison Committee, 1984-1986); Board of Governors, 1974-1975); American Board of Trial Advocates (Member, National Executive Committee, 1983-1984). Biography: Squires Honorary (1962-Auburn University). Recipient: 1995 Alumni Service and Leadership Award, University of Alabama School of Law; 2007 Sam W. Pipes Farrah Law Alumni Society Award. Author, "Uninsured Motorist Coverage: A Significant Decision," 32 Alabama Lawyer 185, 1970. Member, International Society of Barristers. President, University of Alabama Student Bar Association, 1964-1965. House of Representatives, Alabama, 1967-1971. Editorial Board: Alabama Trial Lawyers Journal, 1972-1977; The Alabama Lawyer, 1973-1976; 1982-1983. Special Assistant Attorney General, Alabama, 1972-1979. Senator, Alabama, 1973-1975. 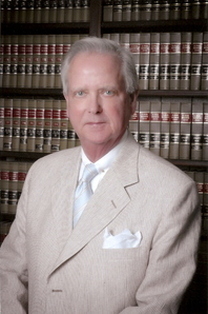 Bar Commissioner, 35th Judicial Circuit, 1986-1996. Member: Alabama Pattern Jury Charges Subcommittee on Products Liability, 1970-1972; Alabama Pattern Jury Charges Committee, 1977-1981. Vice-Chairman, 1992-1994, Chairman, 1994-1996, Farrah Law Society. Member, Law School "Campaign for Alabama" Steering Committee, 1992 --. Member, Board of Directors, 1996-2011, Secretary, 2006-2008, Vice President, 2008-2010, President, 2010-2012, University of Alabama Law School Foundation. Member, Alabama State Bar Board of Disciplinary Appeals, 2000-2008. Judge, Alabama Court of the Judiciary, 2002 --. University of Alabama School of Law, Law School Foundation Executive Committee - 2004 --. Member, Board of Directors, Alabama Bench and Bar Historical Society, 2007 --. Life Fellow, Alabama Law Foundation.